All the Elements with Style! Do you confuse boron with barium or chlorine with fluorine? Fear not! 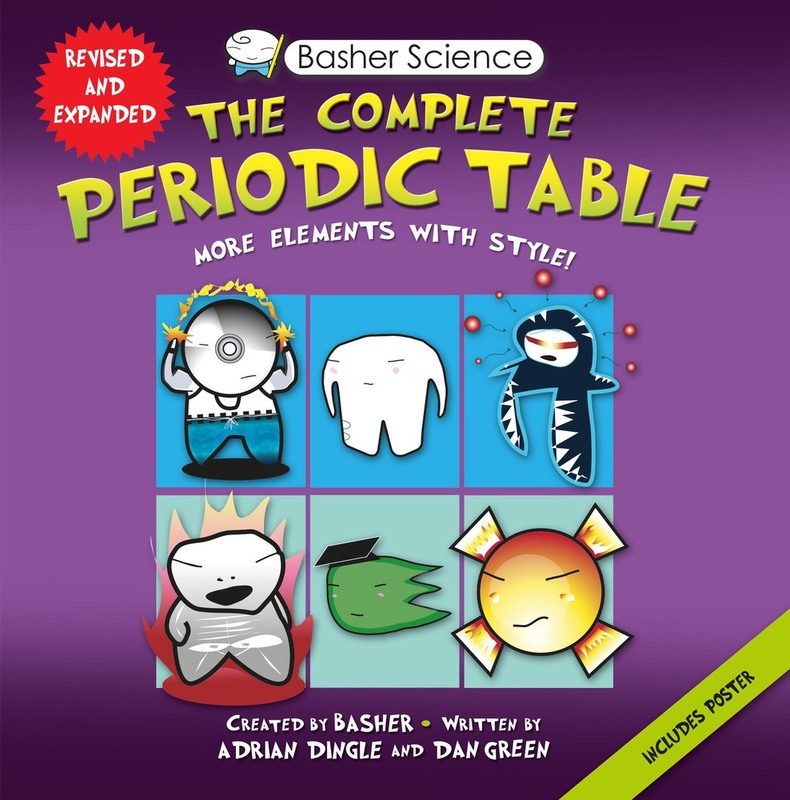 Basher Science has come to the rescue by mixing science and art to create a unique periodic table. From unassuming oxygen to devious manganese, the incredible elements show you the periodic table as you've never seen it before. Basher Science: The Periodic Table gives a face, voice and personality to the chemical elements, making learning chemistry easy and a whole lot more fun. This new expanded edition reflects the latest discoveries, and now each of the 115 elements has not just a picture but an information-packed page all to itself. High school chemistry teacher Adrian Dingle is the creator of the award-winning chemistry Web site: adriandingleschemistrypages.com. His site has been recommended by the Eisenhower National Clearinghouse, the BBC, the National Science Teachers Association, and Cornell Theory Center --among many others. Born in England, he has taught in both the United States and United Kingdom and now lives in Atlanta, Georgia, where he teaches at The Westminster Schools. He holds a B.S. and a postgraduate certificate in education from the University of Exeter. Dan Green has written many of the titles in the Basher Science series. He has an MA in Natural Sciences from Cambridge University, where he specialized in geology. Artist and designer Simon Basher has fun playing in the world of contemporary character design. Inspired by a love of simple line work and a rich color palette, his characters fill the gap between edgy manga and the cuteness of Hello Kitty. He lives in England.